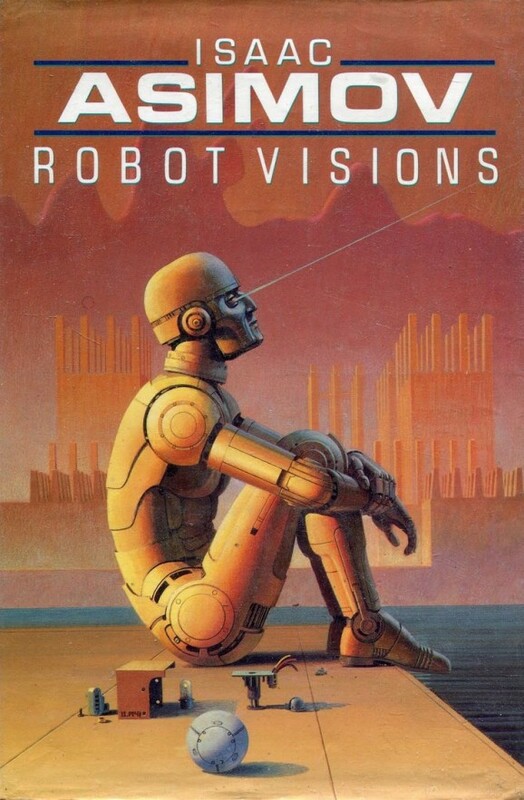 Most people are familiar with Isaac Asimov’s I, Robot, a collection of nine short stories first published together in 1950 (the individual stories themselves almost all came out separately in the 1940s). 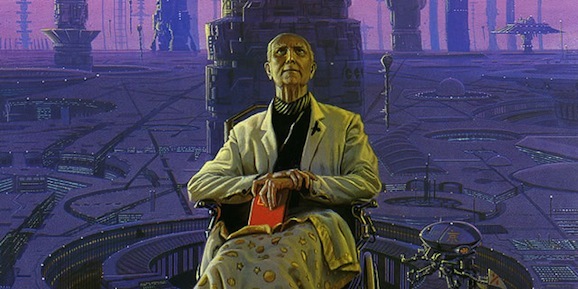 The stories include Asimov’s groundbreaking robot tales, as well as principles such as the three laws of robotics, which have influenced pretty much every robot story since. His book Robot Visions combines those stories with short works of nonfiction in which he reflects on everything from the feasibility of the three laws to his predictions about the roles of robots in the future. 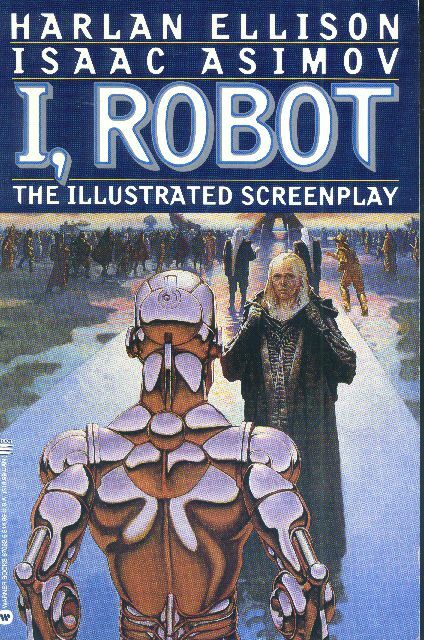 The combination of fiction and nonfiction provides a wonderful lens into Asimov’s mind, as well as important points and questions regarding robots that are becoming more and more pressing and relevant. Asimov was highly influenced by R.U.R., the first work featuring robots—killer robots who overthrow humanity, to be specific. 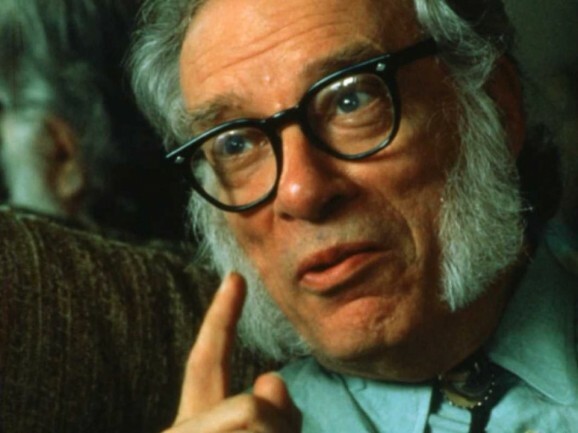 In a short essay called “Robots I Have Known,” Asimov references author Karal Capek’s work, and describes the idea of robots that emerged from the play and from other robot fiction as “a sinister form, large, metallic, vaguely human, moving like a machine and speaking with no emotion.” It’s this description that Asimov seeks to challenge, particularly with regard to his creation of the laws that constrain robots and thus protect humanity. 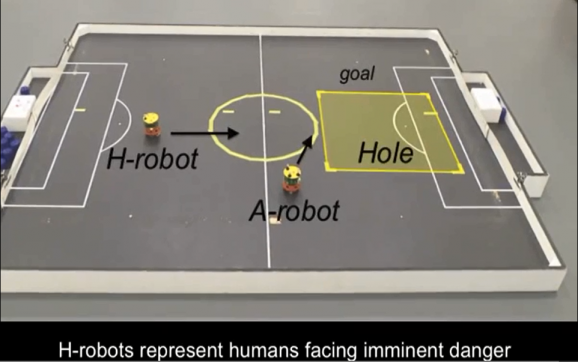 First, a robot cannot harm or allow harm to come to a human (this was later broadened into the “zeroth” law, which substitutes the word “humanity” in for “human,” thus allowing robots to act on the behalf of the collective good, rather than simply the individual good). Secondly, a robot must obey orders given by humans (unless they violate law number one), and third, that a robot must act in self-preservation (so long as this doesn’t violate laws one or two). There have been rumblings about adaptations of Isaac Asimov’s Foundation for years now, but no one has quite gotten there. Last we heard, Roland Emmerich planned to develop it as a television series, and while the TV part of that still appears to be true, the players involved have changed. It is now being reported that Jonathan Nolan, screenwriter of Interstellar and frequent collaborator with his brother Christopher, is working to write and produce a series based on the books for HBO and Warner Bros. TV. Given the scope, scale, and expansiveness of the narrative—which takes place over thousands of years, and tells the slow-burn story of how humanity falls into a barbaric state after the collapse of Galactic Empire—a movie would have never had done this justice. HBO has certainly shown that they’re not afraid to tell a sprawling, intricate story that’s a gradual build (just look at Game of Thrones), so this might be a perfect match. Isaac Asimov is one of the most prolific writers in history. The guy wrote and/or edited over 500 books in 9 of the 10 classifications of the Dewey Decimal system. Upon realizing how much he wrote — while he was also teaching (at Boston University, where I happen to teach) and doing other things — two questions spring immediately to mind: where did he find the time, and where did he find the ideas? As to the first question, the only logical conclusion is that Asimov was a robot. It makes sense, doesn’t it? He was writing his famous robot stories from experience. As for the other question, a newly released essay that Asimov wrote back in 1959 provides some answers. One of Asimov’s friends, Arthur Obermayer, worked for an MIT spinoff called Allie Research Associates. The organization was initially founded to conduct antimissile research, specifically how aircraft structures might be impacted by nuclear weapons (this question must not have been as obvious as it seems). They were commissioned by ARPA — DARPA without the “Defense” — to brainstorm approaches for ballistic missile defense. Obermayer drafted Asimov, who came to a few meetings but ultimately wasn’t comforted with how much classified information he’d be privy to (yet another strong piece of evidence of the man’s intelligence). But he did write an essay on creativity and how to get new ideas. While this weekend’s box office will no doubt be dominated by Neil Burger’s YA dystopian thriller Divergent, the second-biggest opening will be James Bobin’s sequel Muppets Most Wanted, hands down. (Or, technically, hands up inside a Muppet.) And while that film’s plot revolves around mistaken identities and criminal elements, we thought it would be a good time to reflect on just how sci-fi-friendly the Muppets have been over the years. How is there not an asteroid named after Jim Henson yet? It would be extremely difficult to go back into all of the Muppet iterations to find every single science fiction reference made, so we won’t be talking about the serialized “Trash Gordon” segments of Sesame Street, the Henson puppets in Farscape, or the multitude of alien characters that have populated Henson’s works over the years. These entries are more specific in their nature and were, admittedly, a lot of fun to relive while putting this story together. 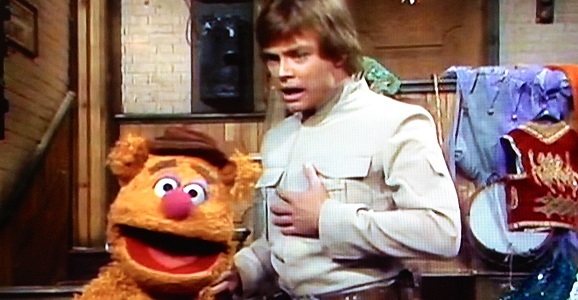 The Muppets, much like the best sci-fi, are absolutely timeless.